When it comes to feeding your fish, there’s literally a ‘pecking order’. 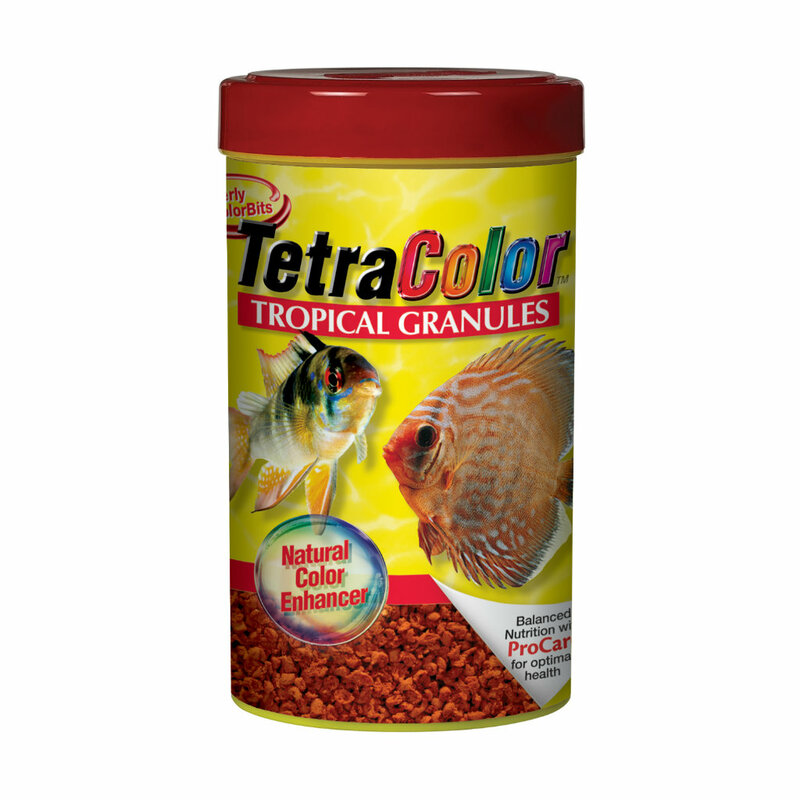 These small, slow-sinking granules are cleverly made so that they sink down to reach the mid-level and bottom-level fish in your aquarium as well as the surface feeders. This colour-enhancing product will bring out vivid reds, yellows and oranges in your tropical fish, including platys, swordtails, cherry barbs, mollies and parrot cichlids. Infused with vitamin C and Tetra’s special patented health-enhancing formula, your fish will be well-fed and glowing with health and beauty in no time.